If you are thinking of entering the field of construction management, then we have some good news for you: there are plenty of positions open across the country due to a growing industry talent gap. As older generations retire, managers are looking for fresh, talented individuals to take their places. Getting the training and developing the skills does not happen overnight, but we are going to review some of the potential job opportunities, so you have an idea what you may experience once you finish construction project management school. You have the option to become a building control surveyor, which means you will be ensuring that federal and local building regulations are being met. These laws and rules apply to all different types of structures including houses, offices, and more. Additionally, it applies to buildings that are not only being newly constructed, but also those that are being altered, renovated, or converted. In this job, you will look at a building, inspect the structural integrity, and determine whether it is being built within compliance of the law. You will however also be required to offer solutions to get the building within a code. Those who like to put their analytical mind to work will find that the life of a building services engineer is most definitely for them. In this line of work, you will be maintaining many different services, most notably those that are required to keep a building up and running. The systems that you will be maintaining include acoustics, heating, health and safety, lifts, escalators, security, power, and much more. When you jump into this career, you will find that there are several different areas for you to work in which can include electrical engineering, lighting, public health, refrigeration, air conditioning, and more. The possibilities are endless, and you can bring untold benefits to the table once you receive the proper training. You will be held responsible for guaranteeing that the job is completed correctly at every stage and you will work with several different people including architects, surveyors, inspectors, contractors, and more. The job of a construction manager can easily extend to both residential and commercial sectors, but it can also extend to the industrial sector. It all depends upon what you are qualified for and where you want to take your career. Working as a quantity surveyor within the construction industry, it will be your job to calculate the costs that are involved in both building and civil engineering projects. You will start at the beginning and work your way to the end, calculating all the final figures. A building project should follow a very specific plan so that the budget can be predicted accurately, but as you already know, there are often variables and unknown factors that can affect the budget. Ultimately, it will be your job to make sure that you are able to create a reasonable budget while still maintaining a certain standard of quality. This includes ensuring that building regulations are fulfilled to prevent legal and safety issues down the line. As you can see, there are quite a few different job opportunities in this industry, and once you complete your construction manager training, you will be able to take on any number of them. Now would be a great time for you to contact ITI Technical College and learn how to enroll in one of our programs and start paving the road to your future! 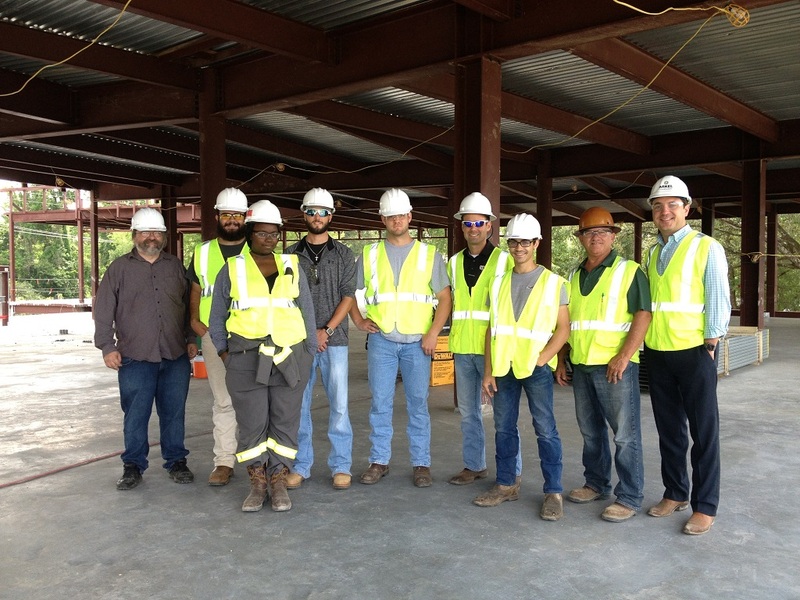 Our construction manager training is a comprehensive, advanced training program that teaches the skills necessary to work in both the residential and commercial areas of construction. You might be wondering if there is a huge difference between these two areas, and the short answer is yes. However, many of the skills are transferable between the residential and commercial industries. The most important thing to remember is that no matter how similar they are, there are always going to be differences that must be considered. You will learn about most of these during your construction manager training, and you will definitely be well versed by the time you complete your construction manager education. We are going to, however, talk a bit about them in this blog post so that you begin your education with a solid understanding of what you will experience in both industries. First off, the types of materials used in each industry are different. For example, a residential structure is normally erected from wood framing while many commercial buildings are built from steel. Most engineers and architects would also agree that the materials used for commercial buildings are more expensive and require more advanced training and experience to work with. Another thing that you will need to keep in mind as a construction project manager is that commercial buildings are often a bit more complex, and as such, they will need to adhere to different standards. This is especially true when it comes time for the building inspection. For example, in a residential home, you will not typically need to deal with the state standards for installing a mezzanine. This is not to say that residential homes are any easier to build, and they still need to adhere to certain standards as well. With that being the case, both residential and commercial buildings will need a skilled project manager to make sure that they not only come to fruition but that they pass inspection upon completion. There are some construction managers that like to work solely with residential structures, and there are others who much prefer commercial structures. The biggest question at this point is: which building type will you prefer to work with? If you want to gain as much experience as possible, you can seek out an organization that works in both industries and builds commercial and residential structures. At this type of organization, you may be able to choose which type of building you work on depending upon your mood, and you may be required to work with a specific type of structure based on the immediate needs of your organization. As you can see, the world of construction management can be a very complicated one, and you have a lot of very important decisions to make. You will need to make sure that you choose the right education by performing research, contacting schools, and visiting campuses. ITI Technical College has a lot to offer its students, and we would be happy to speak with you! Our passionate instructors have industry experience in their area of study, often working in their respective field for many years prior to educating. These instructors are ready to give you the hands-on experience that you need to thrive in the industry. For more information, make sure that you give us a call today and see just what we have to offer you. Attending construction management school in Baton Rouge will give you the education that you need to not only work in this field but to thrive in it. It does not matter if you wish to work in the residential area or the commercial industry; you need to be prepared with both effective and current knowledge that will help you to see the job through from beginning to end. Call us today to schedule your campus visit, discuss scheduling options, and learn more about our programs! 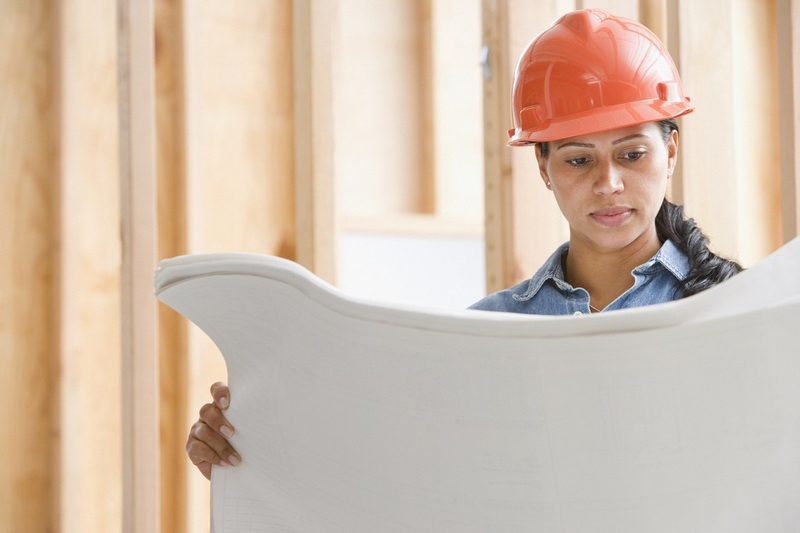 Are you thinking of getting into construction management? If so then you might be wondering what you’re going to be facing once you earn an Associate of Occupational Studies Degree (AOS) in Construction Management or complete another form of construction manager school. This field is not nearly as intimidating as you might think. Let’s start by taking a quick look at what you can expect and what the average day is going to bring you. Think of this as a beginner’s guide to construction management. Your Average Day: What Does it Look Like? As a construction manager you have quite a few responsibilities, so what does the average day look like for you? The first thing you need to know is that you aren’t going to be sitting at a desk, at least not for long. There is a good chance that you’ll have your very own office but how much time you spend in there depends on a number of different factors. For example, is the project going well? Do you need to constantly meet with investors? Is the project a long way from your office? Believe it or not, many construction managers end up turning their personal vehicles into mobile offices due to the amount of time they spend on the road. Paperwork is only one aspect of the job. You will find that you are often out in the field advising employees and checking on potential delays. The most important part of the job is making sure that the projects are completed both on time and to code so that no problems pop up in the future. It can be a bit of a tall order, but that is precisely what the construction manager is for. What Kind of Person Makes a Good Construction Manager? So, here’s a question: What kind of person can really become a construction manager? If you plan to enter construction project management training then first, you’re going to need to make sure that you have people skills. Because this is a job that requires traveling and speaking to clients, you need to make sure that you are a very personable individual. At times you may need to be able to sell ideas and that isn’t going to work if they feel that they cannot relate to you. Second, you need to be very organized to be a construction manager. Unlike some other industries or professions, you will need to make sure that all of your paperwork is in order including job orders, permits, and even your own personal notes. As you can see, there is really nothing easy about this job and if you are going to take it on, then you certainly have a long road ahead of you. However, now would be a great time to start thinking about how you’re going to get yourself into this amazing career. ITI College’s Associate of Occupational Studies (AOS) Degree in Construction Management will provide the educational foundation necessary to excel in the construction project management industry. ITI’s instructors are passionate and experienced, and they are more than able to get you on the right path. It’s a lot of work and you’ll need to put everything you have into it, but earning an AOS Degree from ITI Technical College, along with some supplemental construction project management training will get you where you need to go. Are you interested in learning more? Do you want to kick off your amazing career right now? It’s entirely possible! Visit our campus or give us a call; it won’t be long before you’re enrolled and ready to learn the trade. It could even lead to an incredible career!